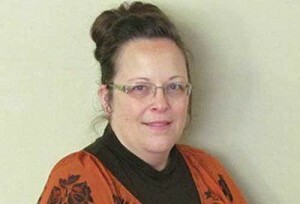 CINCINNATI, Ohio — A federal appeals court has reinstated a lawsuit filed by two homosexual men who sought damages against Kentucky county clerk Kim Davis for denying them a marriage license because her name would be on it. As previously reported, U.S. District Judge David Bunning dismissed all outstanding legal challenges against Davis in August after the state legislature passed a law that removed the names of county clerks from marriage licenses, thus assuaging Davis’ concerns. Bunning therefore dismissed the remaining suits against Davis after determining that their legal challenges were now moot. However, on Tuesday, the Sixth Circuit Court of Appeals ruled in the case of Ermold v. Davis that the lawsuit can’t be moot because the men didn’t seek an injunction, but rather damages for being denied the license. “This action is not a general challenge to Davis’s policy, but rather seeks damages for a particularized harm allegedly suffered by a specific set of plaintiffs,” the court said. It remanded the case back to Bunning for further review. Judge Eugene Siler Jr. said that Bunning should have also considered whether the Kentucky Religious Freedom Restoration Act (KRFRA) protects Davis from punishment. Davis’ attorneys with Liberty Counsel note that “[b]efore you can get to damages, you have to jump over qualified immunity, and you have to show that you’re the prevailing party.” They do not believe the men will be able to do so.